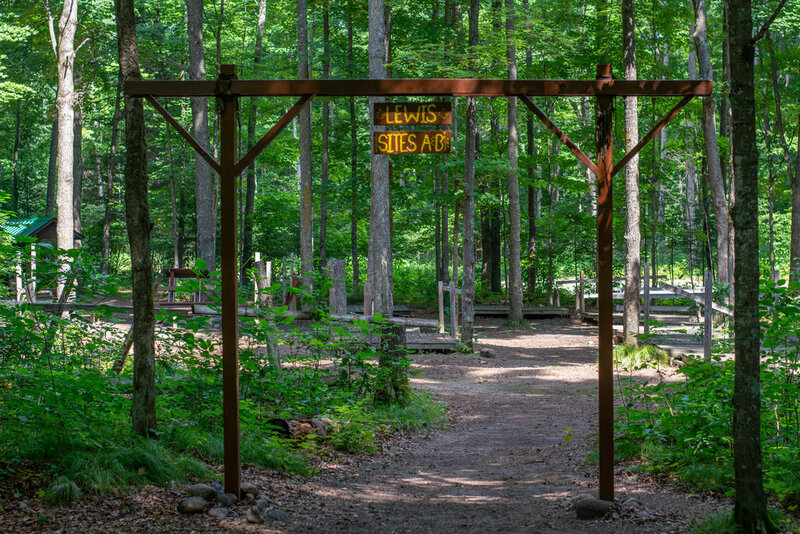 West Camp comprises the newer part of Ma-Ka-Ja-Wan Scout Reservation, the land for this camp being purchased in the 1950’s. The camp began operation in 1959, and thus still has a rich tradition of many years. 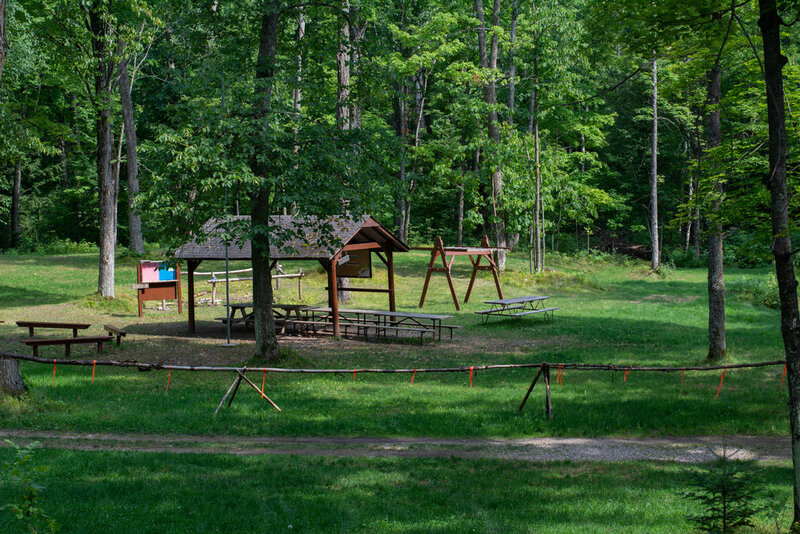 The camp is located around a large grassy field, ideal for orienteering, frisbee, softball, and other outdoor sports. Many such games take place simultaneously in the open area, roughly the size of 4 football fields. All of the program areas and campsites are situated around this field, making the camp more compact than East Camp. This has the advantage of reducing walking time to all parts of camp, but the disadvantage of putting most campsites within sight of other troops. West Camp is conveniently located near the Country Store and the central Administration area (which includes the Welcome Center). However, it’s quite a hike from West Camp to the Chapel or Order of the Arrow Bowl. Of the two camps, West comprises less old forest, with much of if being pine plantation and the open central field. Still, all the campsites are located in traditional forest, not plantation. West Camp includes several features of interest, including Skid’s Creek which runs out of Lake Killian and a wonderful firebowl with a great view of the Lake. West Camp’s campsites are named after American pioneers (with one exception). They are: Powell, Fremont, Boone, Carson, Clark, Lewis , Bowie, Bridger, Cody, Crockett and Whitney. 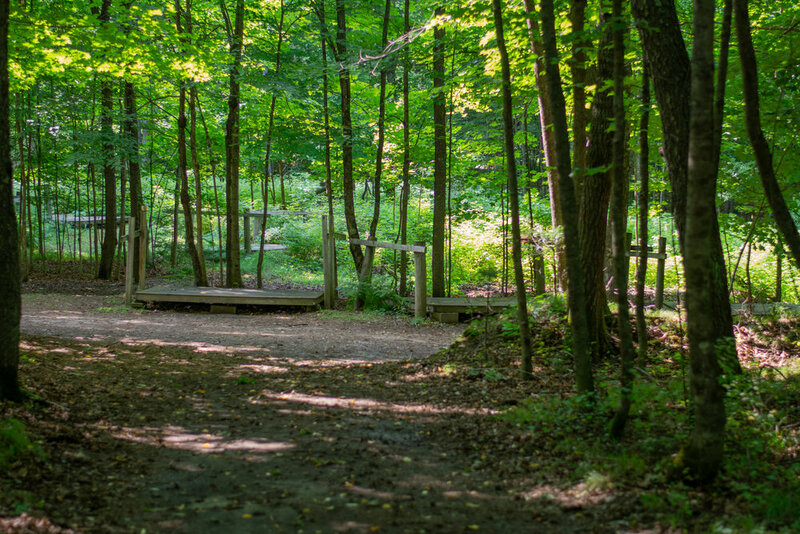 To enhance our description of our sites, please enjoy the staff testimonials written for each site by a recent staff member — who, at one point, considered the camp site their home at Ma-Ka-Ja-Wan. This campsite is the first site as you come into West Camp. The site is named after John Wesley Powell and is designed to accommodate scouts and leaders with disabilities. The site includes a paved path allow entry into several tents without any step or ramp required. The site has its own showerhouse and a shelter. The site is open to any unit and can be expanded in the back to accommodate up to two units totaling 30-35 scouts. Baden Powell campsite was where I stayed when I was a young camper. This campsite was great, from its close vicinity to the dining hall and the field, to its in-camp shower house, it was truly a great place to camp. 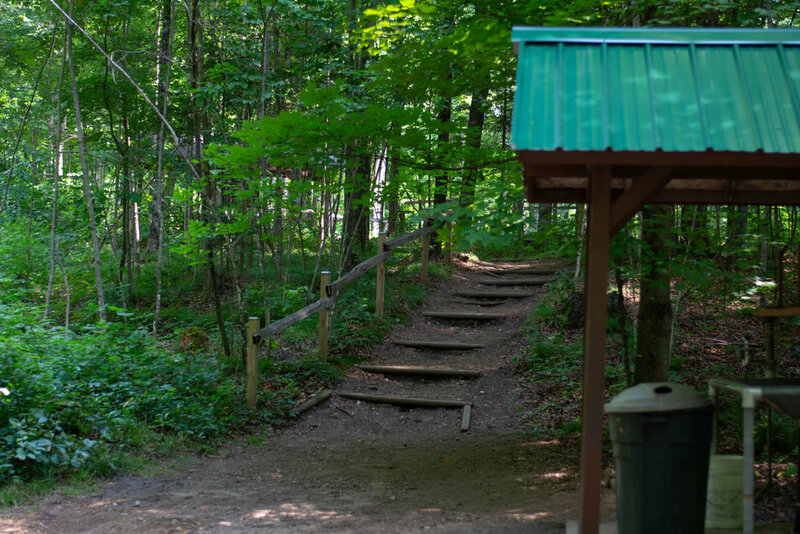 This campsite also has paved paths which make it handicap accessible which is a great bonus to have. My favorite memories from Powell campsite were made around the campfire there. They are large enough to support a large number of scouts, but small enough that the songs and the skits still feel intimate. We would all sing “American Pie” and it would be a great night. I think that Powell campsite is by far one of the best campsites in West Camp and I think you will too. 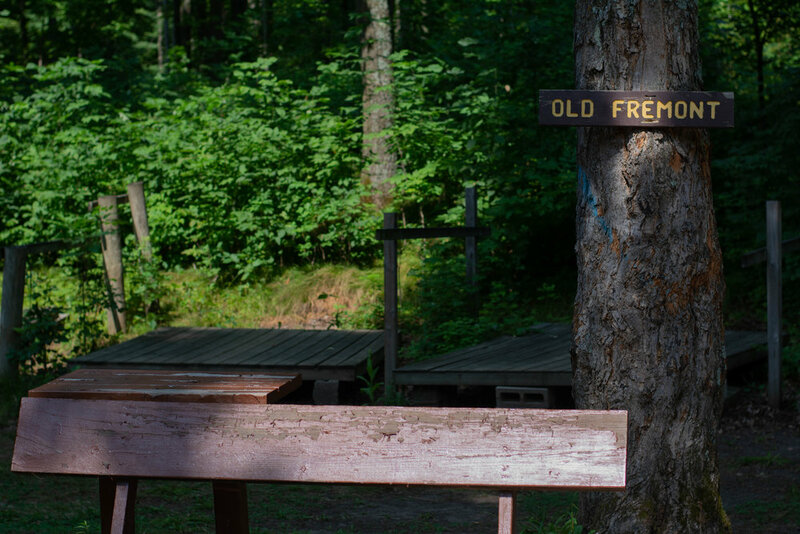 Perched on the top of a hill, Fremont is a medium sized campsite that can support roughly 34 Scouts. Its common name comes from John C. Frémont, a U.S. senator, explorer and mapmaker. 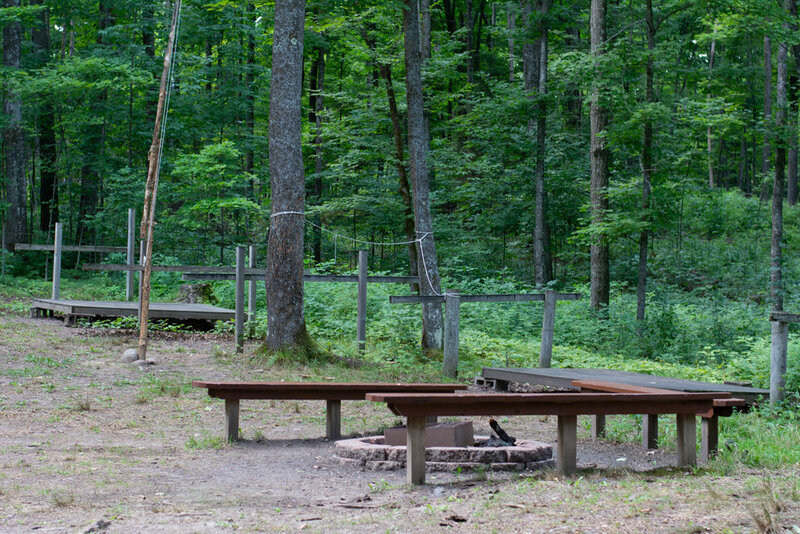 With most of the tents surrounding a single firepit, this site offers a cozy and welcoming atmosphere. Fremont campsite shares the showerhouse with Powell campsite, but it has a shelter of its own. 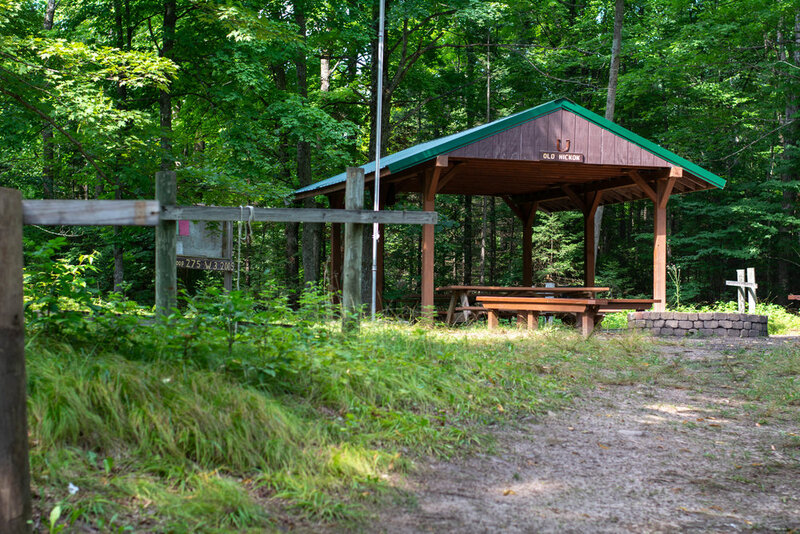 Although this site shares the showerhouse with the rest Powell, it is not recommended for disabled access as there is a steep gravel road leading to the campsite. Perched on a hill near the main field, every day started with a downhill walk pulling us through the forested trails into the rest of camp. While it was close to everything, the hilltop site also made it feel independent and self-contained. 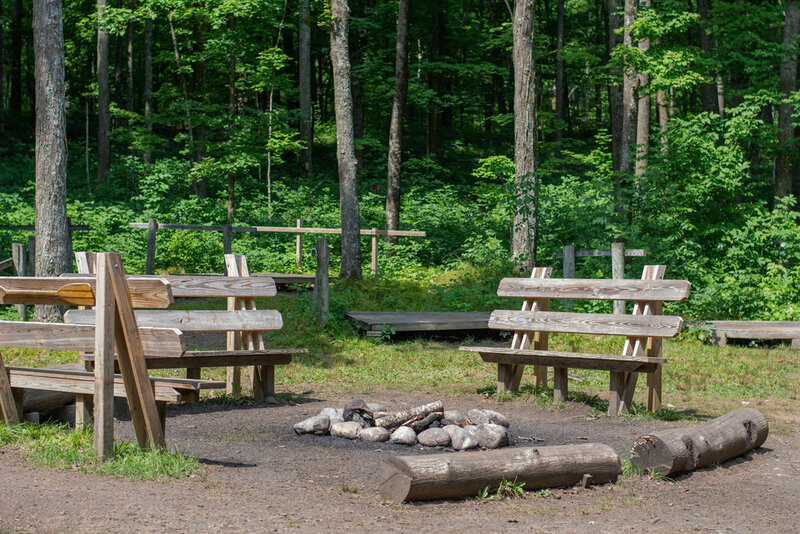 With tents in a rough circle around a fire pit, it fit the vision of what camp is like. Fremont was my home for my summers as a scout and its from there that I fell in love with Ma-Ka-Ja-Wan. Boone is a sprawling and spacious campsite. This site owes its name to Daniel Boone: famed frontiersman and folklore hero, who also appeared on the half dollar from 1934 to 1938. It is conveniently located near the parking lot and just a hop-skip and a jump away from the Dining Hall. The site’s hills provide 5 different levels for patrol sites and flexible accommodations for up to three units. It contains two shelters, a latrine and three fire places. Walking down a wide path, passing tall oaks and other campsites, finally—shrouded in green—one reaches Boone: a realm of possibility all in its own. 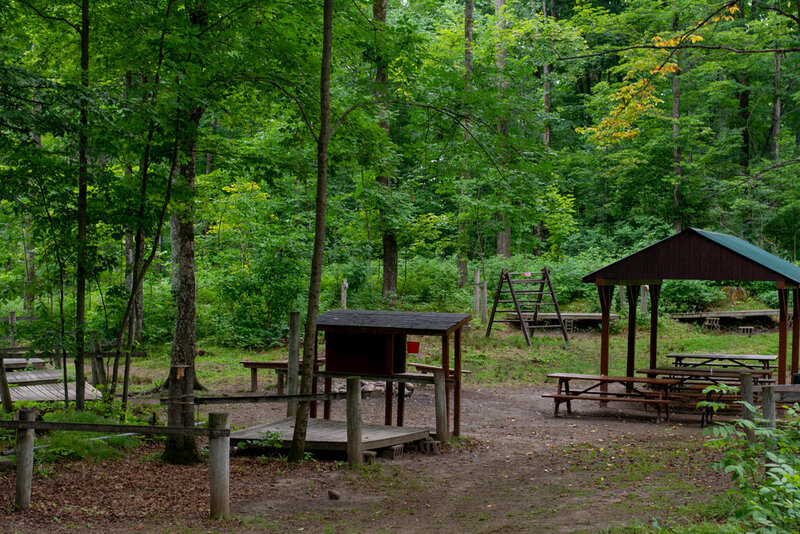 A campsite full of activity from whittling by a fire, sharing stories atop the hill, card games and leatherwork under the shelter, or practicing skits up at Boone C. After long and hectic days earning merit badges and playing a few rounds of Ga-Ga Ball, Boone was always a peaceful grove to relax and reflect. 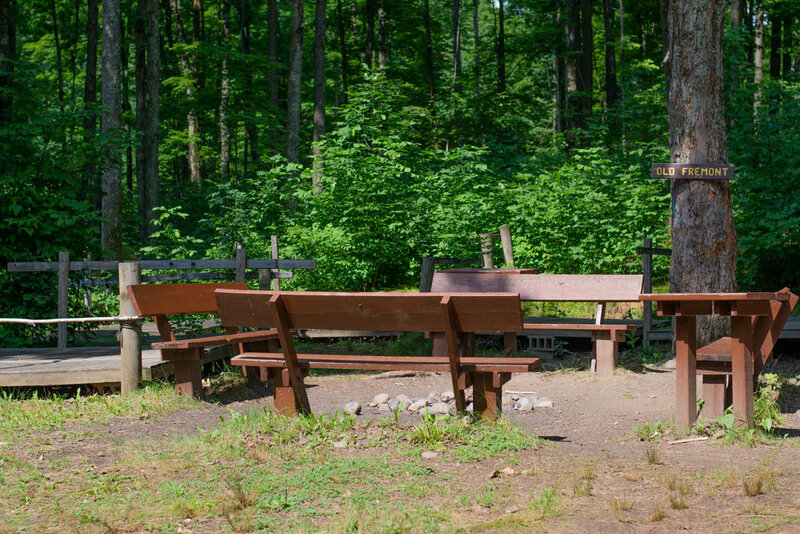 The site is close enough to the wilderness of camp to even sit within nature. 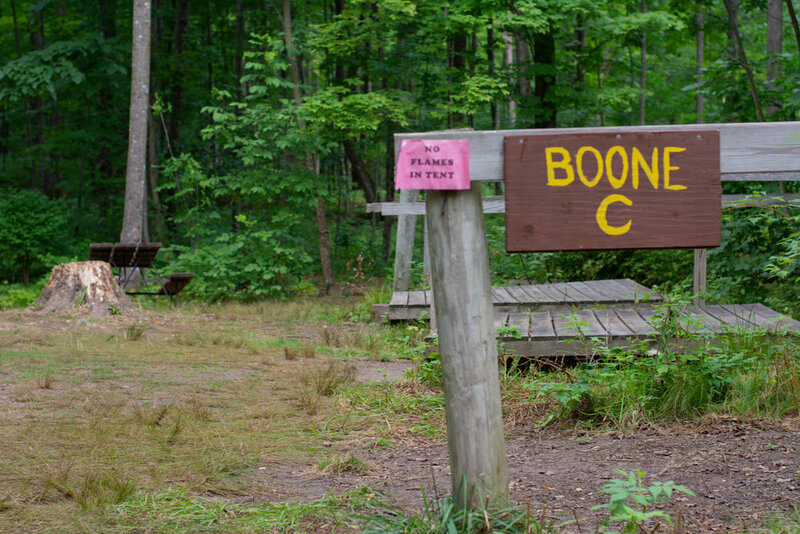 Boone is a beautifully serene campsite, encased in foliage and a home for many storied troops with deep traditions rooted at Ma-Ka-Ja-Wan Scout Reservation. Named after Kit Carson, this site one of the larger sites geographically and is fairly open. It is located on the western end of the main field, and so is some distance from Aquatics and Eco-Con. Carson has a close neighbor in Bowie, which is just across the road. Nevertheless, it is well situated for everything in camp (it’s also closest to the Trading Post). The site has a main area with several patrol sites plus a hilltop site; it includes a shelter, latrine, and capacity for 30 to 40 scouts from one or two units. Situated in the midst of some mild forested hills, Carson provides a nice variety of scenery to be a part of for the week. The shelter in the center of the site provides a good roof to play roof ball on as well as a nice gathering place for your unit. Located halfway between the North and South ends of Lake Killian, Carson is an excellent starting point to explore both ends of the lake and beyond- perfect for every mix of activities a unit could think of. The layout of Carson encourages group unity and a sense of community for one or two units. Carson is the perfect place to kick your boots off after a great day at Camp Ma-Ka-Ja-Wan. This site is located at the southern end of the main camp road which loops through West Camp. As a result, it is reasonably remote, yet still within easy walking distance of everything in camp (with Aquatics and Eco-Con being the furthest away). The site has twos shelters and one latrine and consists of two very distinct sites: one high on a hill and one at its foot. Thus the site is ideal for two units; it has a total capacity of roughly 30-40 campers. Clark is one of the most unique campsites West Camp has to offer. Being on the top of a hill gives it some of the best tent sites in all of camp. I can remember feeling like the King of the hill as I exited my tent every morning. It is just far enough from other sites, which creates unique opportunities for the troop to bond after a long day of camp. In Clark, you can create special moments and memories that can last a lifetime. Plus with new Baden Powell projects like the axe yard, bridges and flag pole, it carries the feeling that those who stay there do a great job of caring for it. 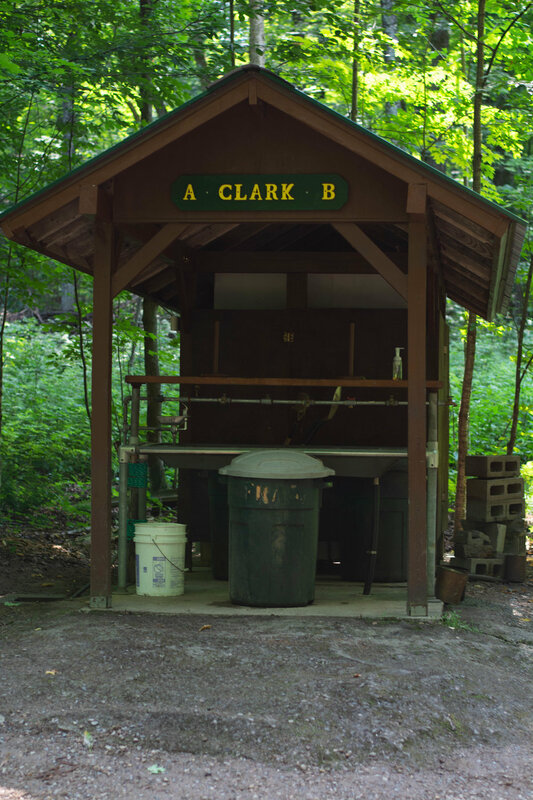 While it may not be right next to the lake or extremely close to the dining hall, I believe that Clark is one of the most underrated campsites in all of MaKaJaWan. This campsite is near Bowie, Bridger and the showerhouse off the northwest corner of the camp field. Lewis has two distinct areas allowing it to be shared easily by two units. The site is flat, relatively open, and has one shelter and one latrine. The site sits right in the corner of the two main camp roads almost at the direct center of West Camp. However, the site is relatively small, housing roughly 30-35 campers. I have many great memories my time in Lewis that I will never forget. 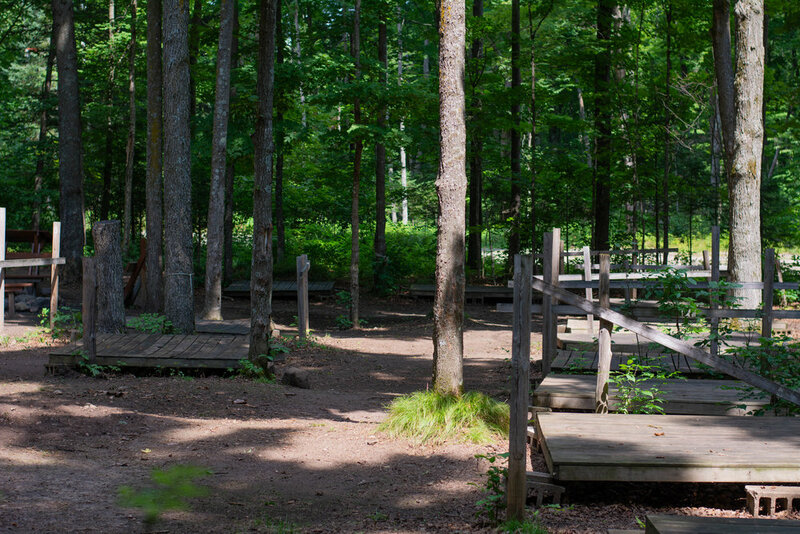 From campfires around the central fire pit to troop games around the campsite, it was always a great time. Lewis is compact, but its size and layout is ideal for troops that want to build patrol camaraderie. It helped my troop and patrol bond, and build lasting memories that we still look back upon today with a smile. Bowie is located directly across the road from Carson, near Lewis, and in the area west of the main camp field. It is an open, flat site with plenty of room for a larger unit. Bowie has 1 shelter and 1 latrine, but distinct patrol sites allow it to be shared by two units (1 small, 1 larger). The total capacity is 40 campers. Bowie is centrally located, with only Aquatics and Eco-Con being a 5 minute walk away. A hood of trees circles the campfire at Bowie. 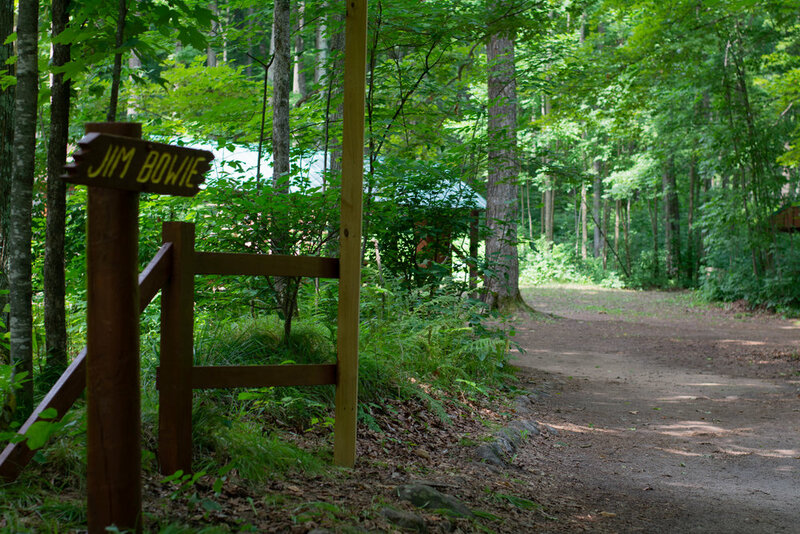 A clear cut campsite with thickly wooded deciduous forest, Bowie sits in an immensely strategic position, with reasonable proximity to the Dining Hall, showerhouse, and Trading Post. 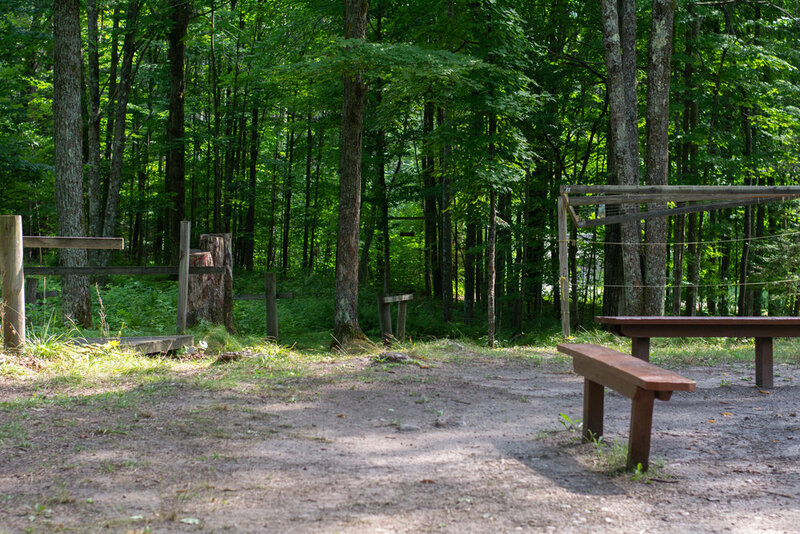 The camp, divided into three separate sections, enjoys a clear view of the spectacular Northern Wisconsin night sky, perfect for stargazing and troop campfires. Firewood is plentiful around the area of Bowie, with the forested hill beyond the campsite bearing more than just the occasional itsy-bitsy. 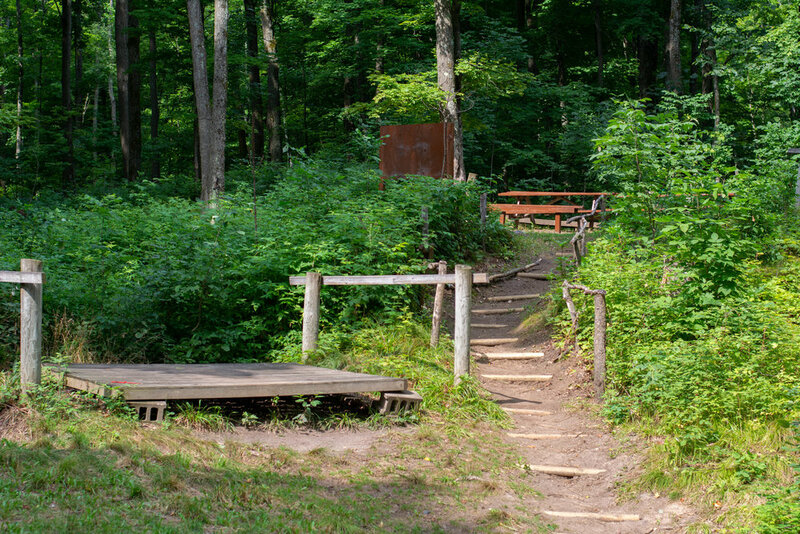 To camp at Bowie is to experience Ma-Ka-Ja-Wan for all that it offers, it is an experience vastly rich in natural beauty, utilitarian efficiency, and vintage charm accessible to all those troops who want to live Scouting to the fullest. Bridger is located closest to the showerhouse in West Camp, just off the northwest corner of the camp field; it is also fairly close to the Shooting Sports area, but farther from Aquatics than some sites. Still, nothing is more than 5 minutes walk away. The site has an open central area ringed with patrol sites, including one hilltop site. The site also includes a shelter and a latrine and can house approximately 40 campers. Bridger neighbors Cody and Lewis campsites but is reasonably isolated from both. I distinctly remember each time we “policed” Bridger. Every siesta, we would march around the site to pick up litter. We wanted to leave the site cleaner than we found it. We also completed Baden Powell projects every year to improve the site. I remember my Scoutmaster testing my taught line hitch on a tent outrigger for my First-Class rank. Later, this knot became the most important knot of my staff career. I suspended hundreds of tents with it, and the formula is burned into my fingers. Finally, I made friendships, stronger than steel, in the site. I learned more about my brother in two weeks here than in the years living at home. Bridger soil holds magic in it. It grows strong trees and stronger friendships. Cody holds two shelters and a latrine. The site is closest to the Shooting Sports area and near the showerhouse, and is conveniently located for all facilities. It is located north of the northwest corner of the camp field. The site is somewhat hilly but with large open areas in both the hill site to the left and the main area to the right. Cody A and B have been combined to be Cody A/B. It is a plat-less campsite (no platforms). In both sites, this open area is ringed with patrol sites, allowing the two areas to share this site comfortably; Cody A/B can hold 40 or more scouts, while Cody C has 2-man platformed tents for 28 (room for a few leader tents). Cody C’s nearest neighbor is Bridger, while Cody A/B is near Crockett. Troops/crews need to bring their own tents for Cody A/B, unless special arrangements are made with camp staff well before your week in camp. Sitting on top of the hill, Cody C often escapes notice which makes it a kind of secret treasure. On a nice day, the wind will swoop down through the site airing out the tents and keeping the humidity down and the campsite dry. Only a short walk away from the new shower house, Cody C is a perfect spot with the quick access to Scoutblazer and Field Sports. Picking your tents is easy with a few on top of the hill in the campsite and the others in a row down the slope of the hill. Each tent is flat with a nice “cove” for adult leaders. This site is one of the more isolated in West Camp, located some distance to the north of the main camp field. 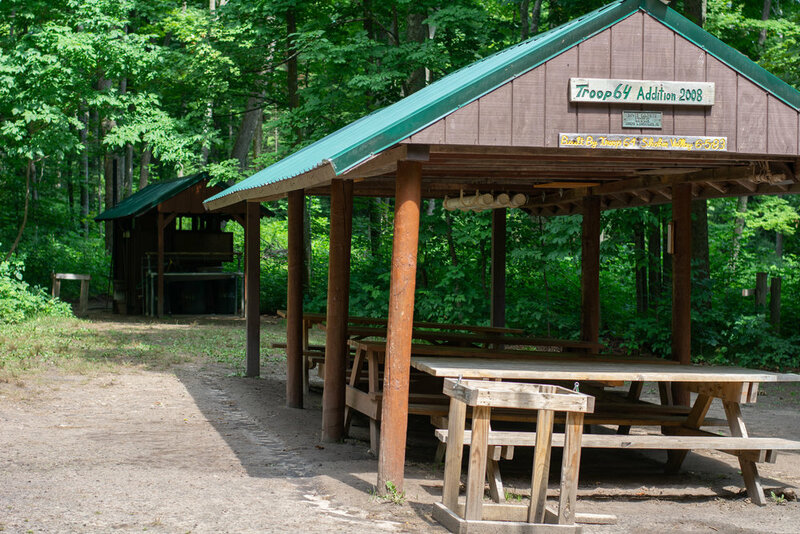 It location places it very close to Scoutcraft, Aquatics and Eco-con, but it is somewhat further to the dining hall and camp office. Crockett’s nearest neighbor is Cody which is on a hill crest above it but out of sight. The site itself is relatively low capacity and fairly flat. Crockett has an open main area and three distinct patrol sites off this area. It has one shelter, one latrine, and capacity for up to 25 campers in one unit (or two smaller units who want to share a site). A pleasant place to camp! 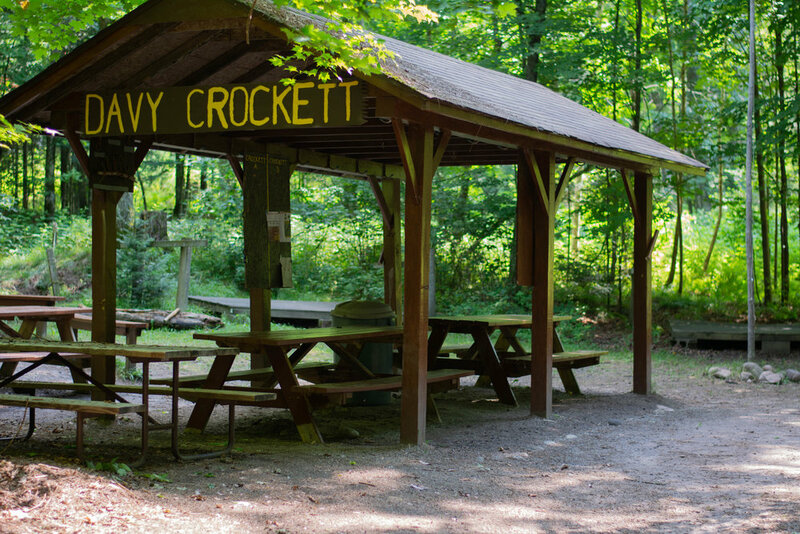 Located deep in the woods behind Scoutcraft, Crockett campsite provides a rustic, secluded camping experience unlike any other village in West Camp. 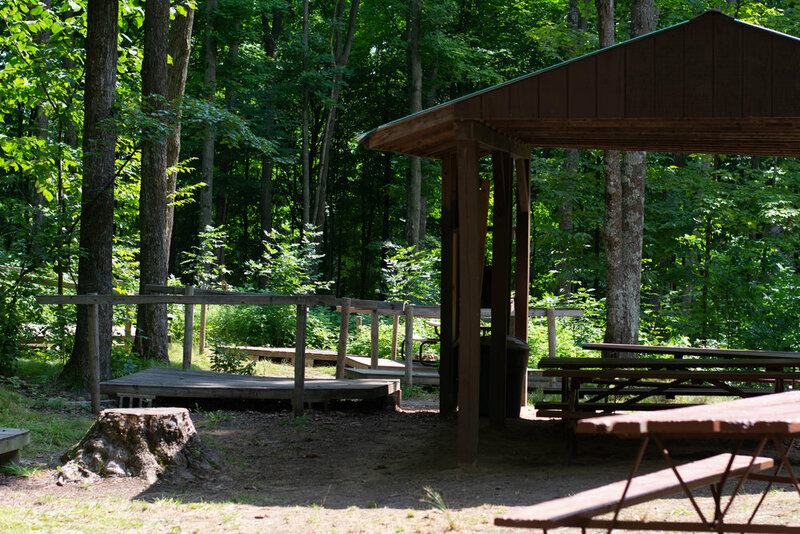 You can find yourself surrounded by the best that Ma-Ka-Ja-Wan has to offer; with two trails, a fire bowl, and a large pavilion in the campsite, you can always come back to a comfortable and cozy second home to share the days adventures with your Troop. Most importantly, I never will forget the warm summer nights dimly lit by propane lamps and the sounds of Scrabble pieces clicking around my patrol’s game board. As a Scout, I am proud to call Crockett my home away from home--the games we played, the stories we shared, and the lessons we learned shaped my Scouting experience from Tenderfoot to Eagle. Whitney is also referred to by some as North Camp due to its location in the northeast corner of West Camp. Whitney is unique in being the only site located on the lake. Whitney has one shelter, a latrine, and a dock on the lake. Access to the camp is across Skid’s Creek. 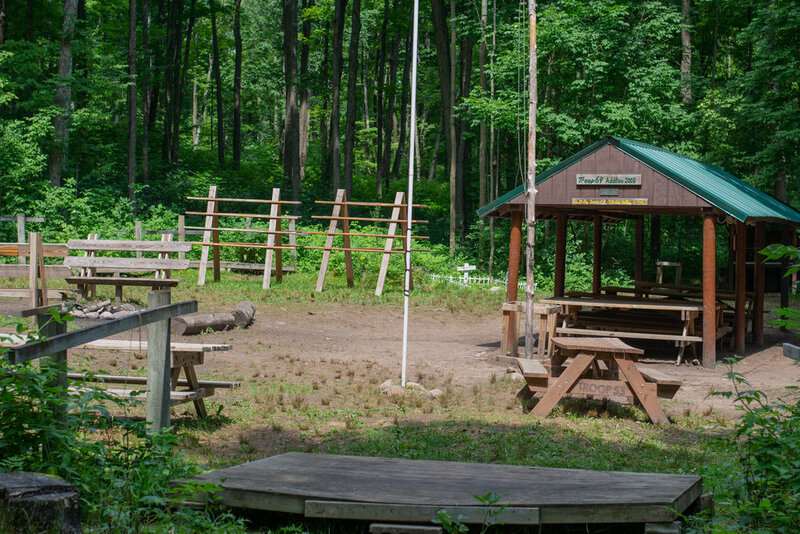 Whitney is a fair distance from the dining hall and camp office, but very close to Scoutcraft, Aquatics, and Eco-Con. It also has no real campsite neighbors. Whitney consists of two distinct areas: one near the lake and one further inland. The campsite can be shared by two units and holds up to 40 campers. Whitney is an exceptional space place within camp to call home. I fell in love with camp on the fishing dock. Early mornings and late nights, I sat there with my new friends looking out across the lake. Each of us away from home for the first time, we talked about everything that was fresh and exciting about camp . Sneaking out of our tents and marveling at the midnight stars and the dawn fog, thinking about our futures in Scouting, I made lasting bonds that have kept me coming back another ten years…and always will.